Bright, 3 bdrm, 3 level townhouse in "Simon Fraser Village," a lovely family oriented neighbourhood. This unit is located off the main drive with your entrance off the courtyard. NEW WINDOWS plus updated kitchen with newer cabinetry & countertops. Also a window over your sink overlooking the courtyard, perfect for watching your children play while making dinner. Off the kitchen is a eating nook or a perfect home office. Open dining/living rm with sliders to your fully fenced backyard/patio area. Three bdrms up. Basement with large rec rm plus over 200sf of storage space that could be easily be turned into more living space. 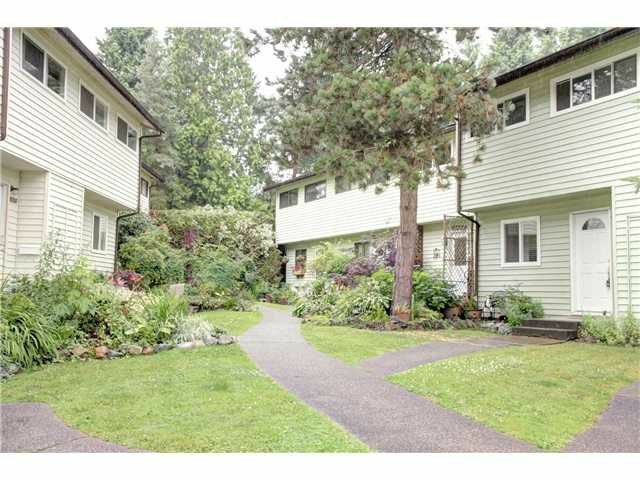 Central location near Lougheed Mall, SFU, skytrain and walking distance to Burnaby Mountain Secondary & Stoney Creek Elementary. Bonus:complex has own daycare centre! Two pets allowed & low monthly strata fees of $210. Easy to show!